South Tyrolean wine vinegar Lagrein of the Plunhof in Saint Valentin/Seis in the Schlern. Unity of delivery: 0.5 lt. Produced personally by the Martelli family, in their own pasta factory in Lari, in the hills of Pisa in Tuscany. South Tyrolean Apple Vinegar Organic 0,50 lt. - Luggin - Kandlwaalhof 7,10 EUR / 14,20 €/lt. South Tyrolean apple vinegar Weissenhof 0.5 lt. 4,50 EUR / 9,00 €/lt. 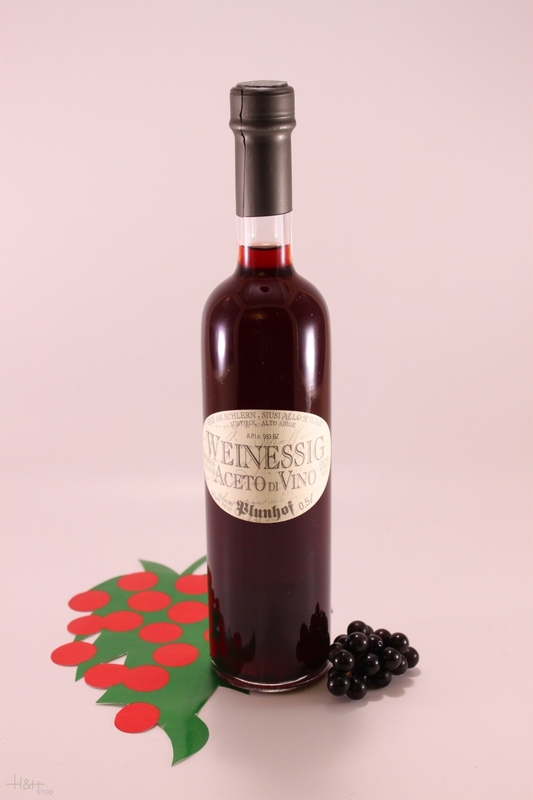 South Tyrolean Raspberry Vinegar Organic 0,25 lt. - Kandlwaalhof 7,10 EUR / 2,84 €/100 ml. South Tyrolean mountain vinegar 50 cl. - Distillery Zu Plun 12,45 EUR / 24,90 €/lt. South Tyrolean Strawberry Vinegar Organic 0,25 lt. - Kandlwaalhof 7,10 EUR / 2,84 €/100 ml. South Tyrolean red vinegar 50 cl. - Distillery Zu Plun 9,75 EUR / 19,50 €/lt. South Tyrolean Apple Balsamico organic 0,25 lt. - Luggin - Kandlwaalhof 9,70 EUR / 38,80 €/lt. South Tyrolean Apple Vinegar & Garden Herbs Organic 0,25 lt. - Kandlwaalhof 7,10 EUR / 2,84 €/100 ml. South Tyrolean Champagner Apple Vinegar Organic 0,50 lt. - Kandlwaalhof 7,10 EUR / 14,20 €/lt. South Tyrolean Apple Vinegar with Basil Organic 0,25 lt. - Kandlwaalhof 7,10 EUR / 2,84 €/100 ml.